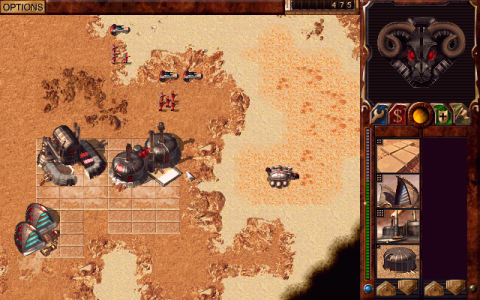 In the late 90s, Westwood’s Command & Conquer series was in full swing. 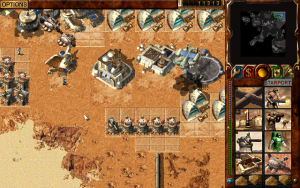 The original Command & Conquer has received an expansion pack, a sequel, two expansion packs for said sequel, and the multiplayer spin-off Command & Conquer: Sole Survivor. Nevertheless, Westwood would return to its real-time strategy roots with Dune 2000, a remake of Dune II: The Building of a Dynasty. 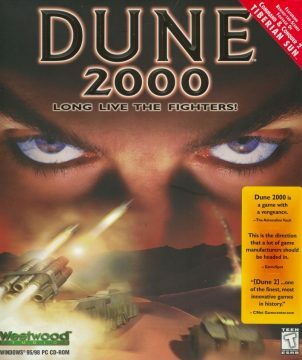 Tasked with the development of Dune 2000 was Intelligent Games, a British developers who had, among other things, helped to create Command & Conquer: Red Alert – Counterstrike and The Aftermath, the expansion packs for the original Command & Conquer: Red Alert. 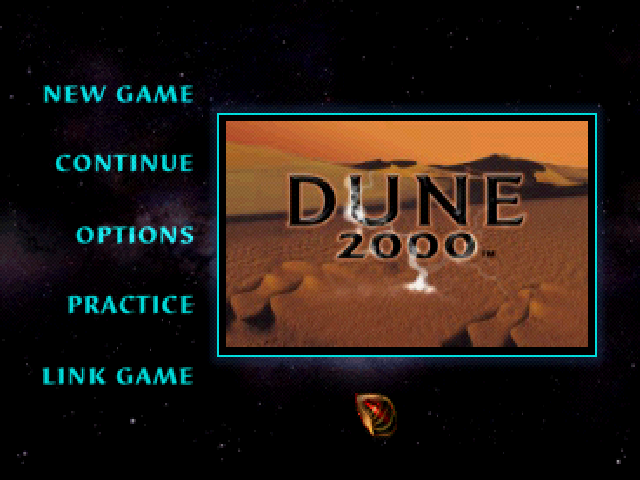 The new millennium drew close, and as it was common at the time, a “2000” was slapped on the Dune name. Halfway through the process, Westwood’s publisher Virgin Interactive was taken over by Electronic Arts. As a result, the former published the Windows version of Dune 2000, whereas the latter published the PlayStation port. 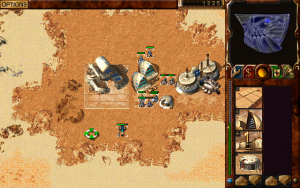 When Dune 2000 was released, less than six years had passed since the Dune II: The Building of a Dynasty saw the light of day. During this time, the real-time strategy genre had evolved at a rapid pace. 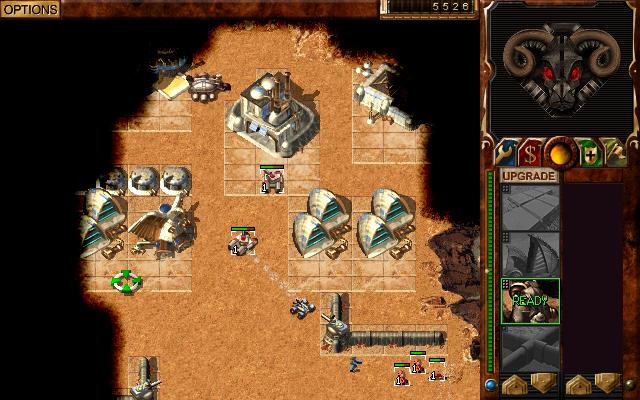 Early entries in the genre looked ancient compared to more recent titles, and classic series such as WarCraft, StarCraft, Age of Empires, and Total Annihilation had been established. 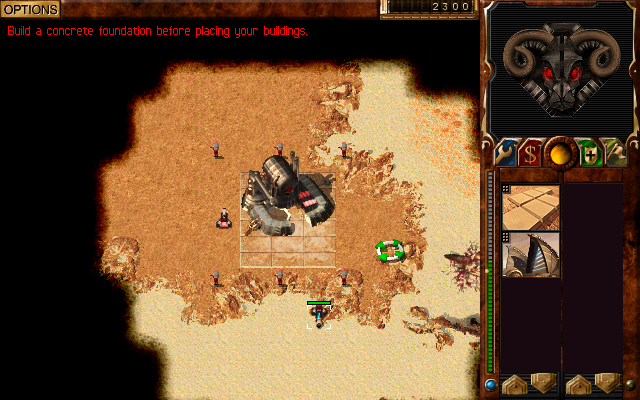 Dune 2000 itself was criticized for its production value and presentation, even though it had abandoned many aspects of its predecessor and adapted gameplay closer to that of Command & Conquer instead. The plot, on the other hand, was kept largely intact. 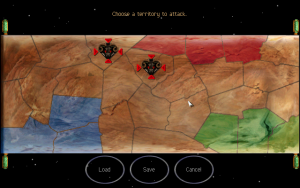 Once more, Houses Atreides, Harkonnen, and Ordos fight over the desert planet Arrakis, sole source of Spice in the universe. 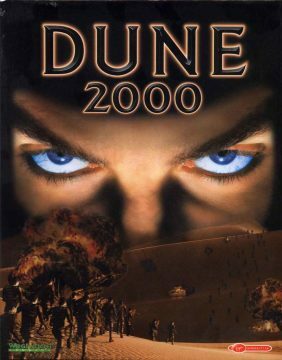 Interestingly, both the execution of Ordos mentat advisor Amon and the retirement of his Atreides colleague Radnor are referenced, indicating that Dune 2000 is also a sequel of sorts to Dune II: The Building of a Dynasty. The player takes the role of a military commander smuggled to Arrakis by Lady Elara, concubine to Emperor Frederick IV Corrino. 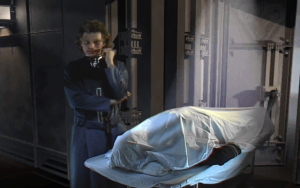 Elara, a member of the ancient Bene Gesserit thinking school, foresaw the death of the commander many times, but also saw a possible future in which they brought peace to Arrakis and the Imperium. 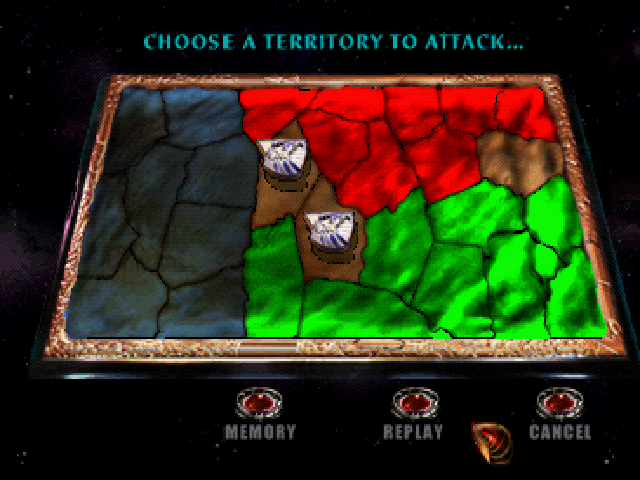 Once more, the player has the choice to join one of the three noble houses and lead it to victory. New are the live-action cutscenes between missions, another staple of the Command & Conquer games. 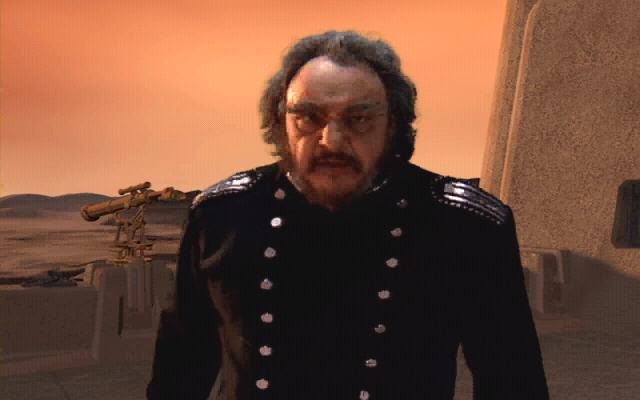 The cutscenes explain the relationship between the Atreides and the Fremen, comment on the machinations of the Emperor, introduce new military hardware, and serve as briefings. However, they often feel disconnected and somewhat random, as if lifted from a film or TV series. Lifted from David Lynch’s Dune film adaptation is their style. Adrian Sparks as the Emperor and Robert Carin as the Harkonnen advisor even look like their film counterparts José Ferrer and Brad Dourif. Equally similar are the background and general aesthetics of houses Atreides and Harkonnen as well as the Fremen. 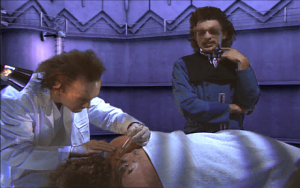 Some scenes even match the dark tone of the Lynch film, such as the disease-ridden Baron Harkonnen, a war gas test on Ordos mentat Edric O, or the chopped-off hand of Duke Atreides which the Harkonnen mentat stores in a box. Despite these changes, the campaign experience is going to be similar to that of Dune II: The Building of a Dynasty. There are nine missions for each house, with some missions having two available maps. Over the course of the campaign, the player faction will face both enemy houses. One will receive direct support from the Emperor, and in the end, they will all ally against the player. The missions themselves have a lot more variety. 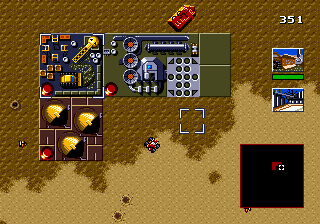 The destruction of all enemy forces is still the goal in the majority of missions, but give the player different tasks: a starport has to be conquered to call in reinforcements, a specific enemy structure has to be captured or destroyed, a radar installation is to be protected. The overall difficulty is less forgiving. Three settings are available; the easiest decreases the cost of units and structures for the player and increases them for the AI, the hardest does the opposite, and the medium setting leaves things unchanged. 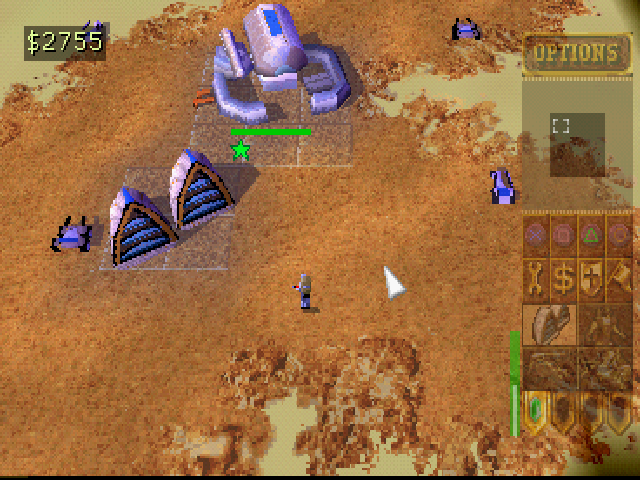 However, even on the easiest setting, the AI always starts with a full base and a nice hoard of Spice, and wastes no time swarming the player – and swarming is all it does. Once adequate defenses have been built, it is usually just a matter of time until the AI folds. The start of a mission is usually the most difficult part; a limited amount of units must fend of the relentless AI while the player decides where to build what structure and whether to focus on economy, military, or technological advancement first. To add an extra layer of unfairness, the AI often gets free reinforcements dropped right at the player’s doorstep. Nevertheless, the campaign also has some interesting ideas. The Ordos, fundamentally the weakest faction, reply on the support of mercenaries and start some missions alongside their mercenary allies. Should the mercenaries suffer too many losses, they will abandon their masters. 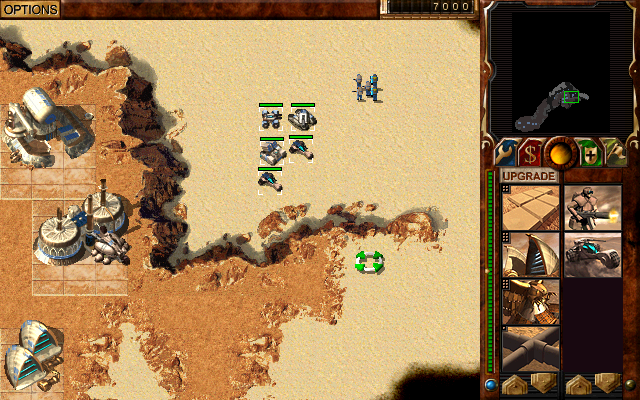 In one mission, the Harkonnen can even recruit them by demonstrating their superiority in the field. In another mission, no base is initially available, and the player has to make do with a starport alone. 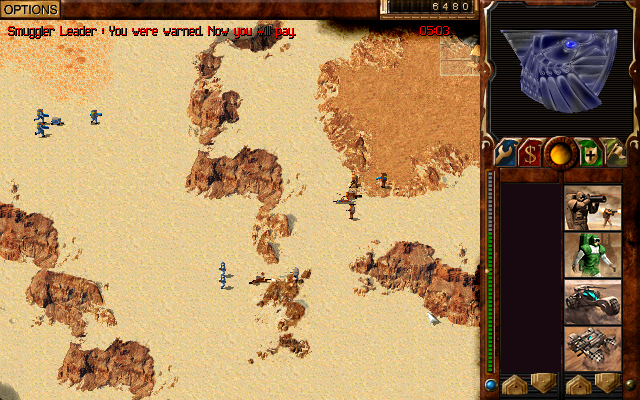 The harder difficulty is partially buffered by the much-improved interface. 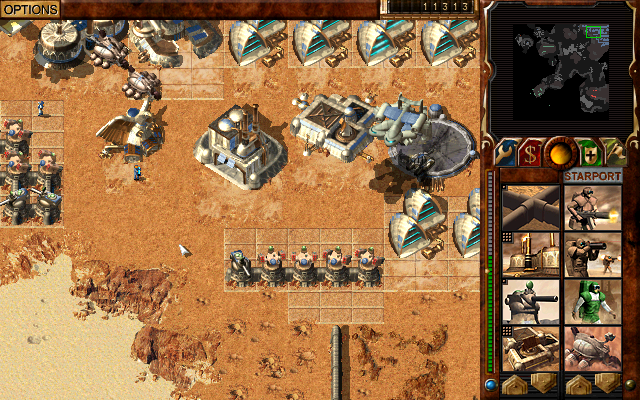 Players can select however many units they wish. The sidebar with the build and upgrade menu is easy to access. Building concrete slabs is less tedious. Multiplayer and skirmish modes were added as well. 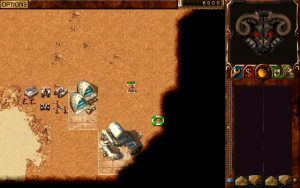 Interestingly enough, the developer decided to limit Dune 2000’s resolution to 640×400 pixels, double that of the original DOS release of Command & Conquer. 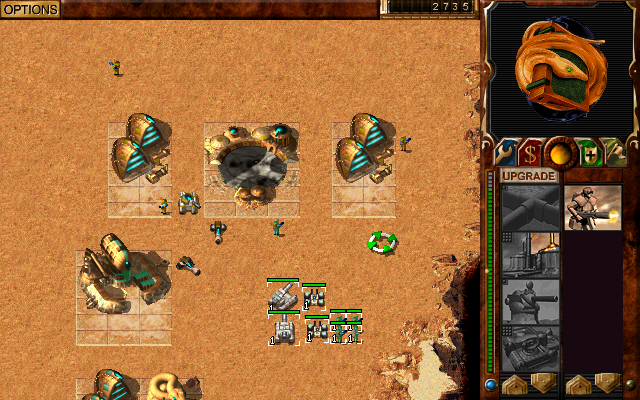 Only video cards that do not support this mode can run the game in 640×480 pixels. Fan mods aside, no other resolutions are available. 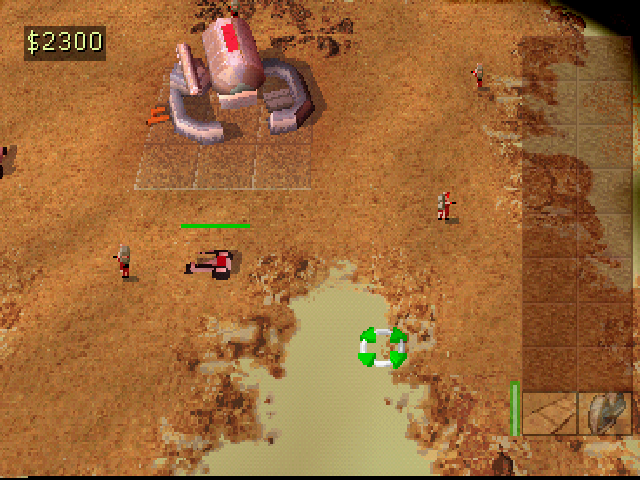 Even Command & Conquer: Red Alert supported higher resolutions. 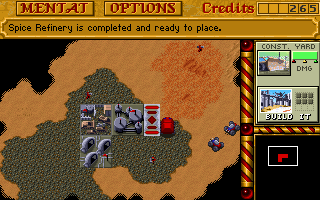 Most of the units and structures made the jump from Dune II: The Building of a Dynasty, as did the upgrade system for production facilities. Certain aspects have been streamlined. The WOR trooper training facility is gone and has been merged with the barracks. All factions can now build basic infantry and troopers, and they are actually useful. Infantry is overall much faster, and bazooka troopers are something any tank should fear. New to the infantry family is the engineer, who is lifted straight from the original Command & Conquer. No longer does one need to carefully shoot an enemy building until it is mostly but not entirely a ruin; instead, the engineer simply takes it over by entering it. Exclusive to multiplayer is the thumper, an infantry that can place a thumper device on the sand. The thumping sounds and motion attract a sandworm, Arrakis’s signature vehicle-devouring monstrosities. Fremen warriors now spawn from the Atreides palace in regular intervals and server as stealthed infiltrators. The Emperor once more has access to his Sardaukar elite troops, who excel again both infantry and vehicles, and the Ordos to the stealthed saboteur. The Ordos raider trike is gone. Instead, all three houses have slightly different statistics for the same unit. The Harkonnen combat tanks, for example, is slower but tougher. 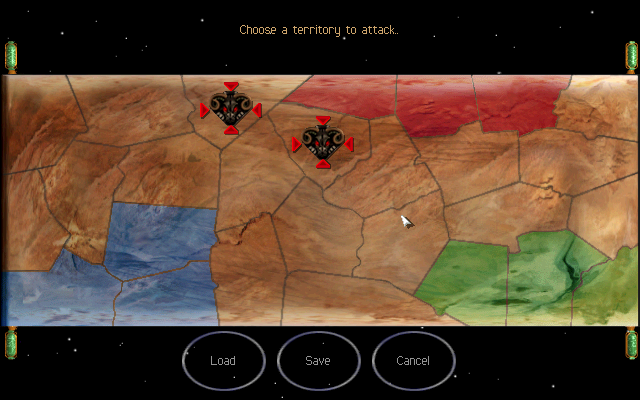 The Ordos version is lighter but faster, and the Atreides version right in middle. 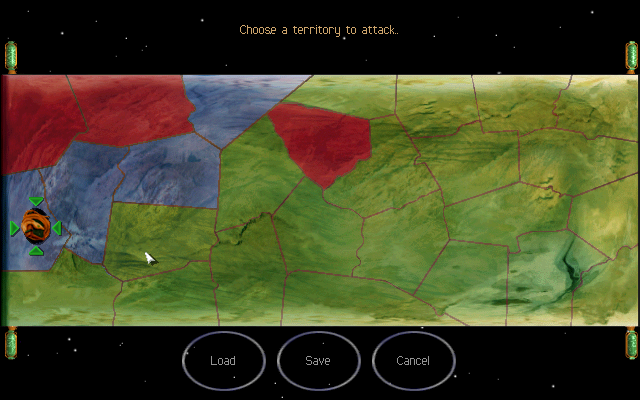 Once more, no missile tanks are available for the Ordos, unless they are purchased from the starport. The starport is more important than ever before. Due to the unfair advantages the AI enjoys, it is needed to keep up with its rate of production. 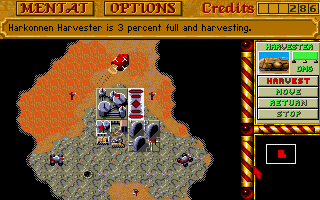 A high Spice harvesting rate does not do the job, as multiple production facilities of the same kind merely increase the speed of production, but do not give the player access to multiple production queues – another feature from Command & Conquer. 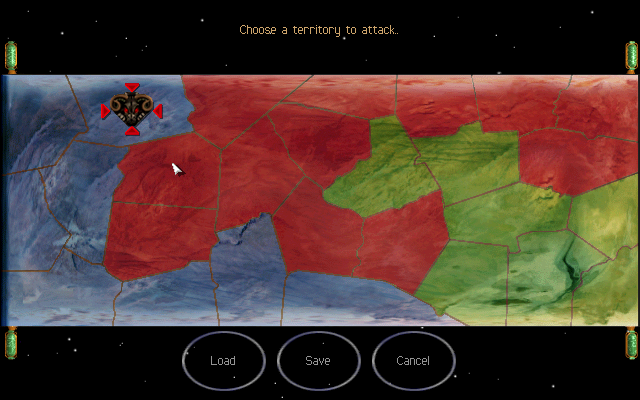 Likewise lifted from Command & Conquer is the Atreides air strike. 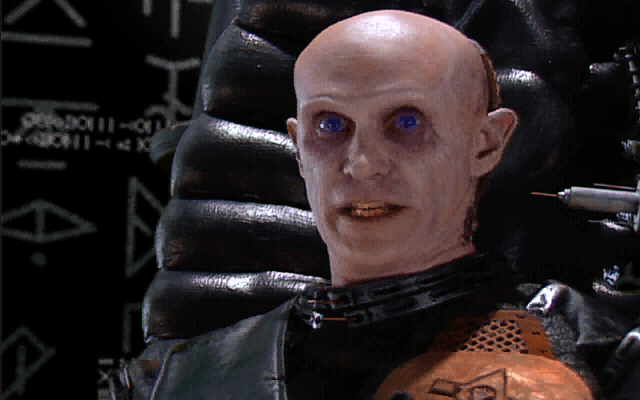 Once in possession of a high-tech weapons facility, the Atreides gain access to an ornithopter strike support power instead of being able to build ornithopters directly. Unfortunately, the air strikes takes forever to charge up and can barely destroy a wind trap. More destructive but less precise is the Harkonnen Death Hand nuclear cluster missile, which returns just as the Devastator, Atreides sonic tank, and Ordos Deviator. The Devastator now looks more intimidating and less like an oversized hair dryer, and fires plasma charges. The Deviator is still of questionable use, and the sonic tank is a bit of liability: it destroys everything in its path, including friendly units. Groups of enemy sonic often do a better job of destroying one another than their actual opposition. The inter-faction balance in Dune 2000 is still questionable, but the intra-faction balance has been improved over Dune II: The Building of a Dynasty. Some units are still better than others, but Dune 2000 suffers less from real-time strategy unit replacement syndrome; just because a higher-tier unit becomes available does not always mean that all lower-tier units immediately become useless. 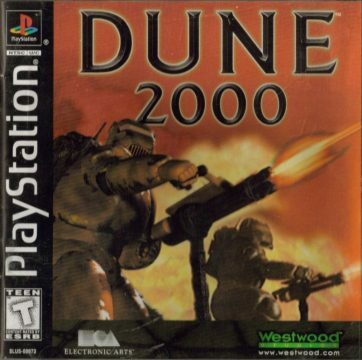 Less of a success is the Dune 2000 PlayStation port that followed more than a year after the original Windows release. The creators were kind enough to include support for the PlayStation mouse, which makes the game significantly more playable than other console RTS games, but also decided to go for 3D graphics, much like the N64 port of Command and Conquer. As to be expected from a late-90s 3D, the polygon counts are low and the textures are pixellated, plus the aesthetics are plain ugly. Half the textures are simply lifted from the Windows version and slapped on the various maps, making them looks flat and artificial. It’s nice that they developed a custom version for the console, but it’s still not great. 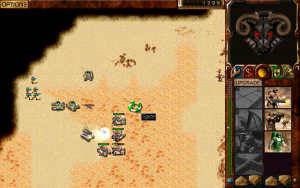 What Dune 2000 does suffer from is its design philosophy, which seemed dated even at the time, despite being an improvement over the game it was based on. It received mixed reviews and became somewhat obscure shortly after its release. 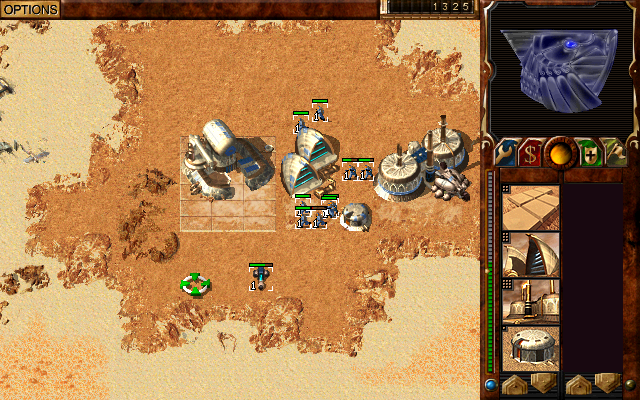 Nevertheless, it retained a small but dedicated core of modders and player who still enjoy it decades after its release, and would later receive a direct sequel in the form of Emperor: Battle for Dune.